Stuck inside with a bored toddler? 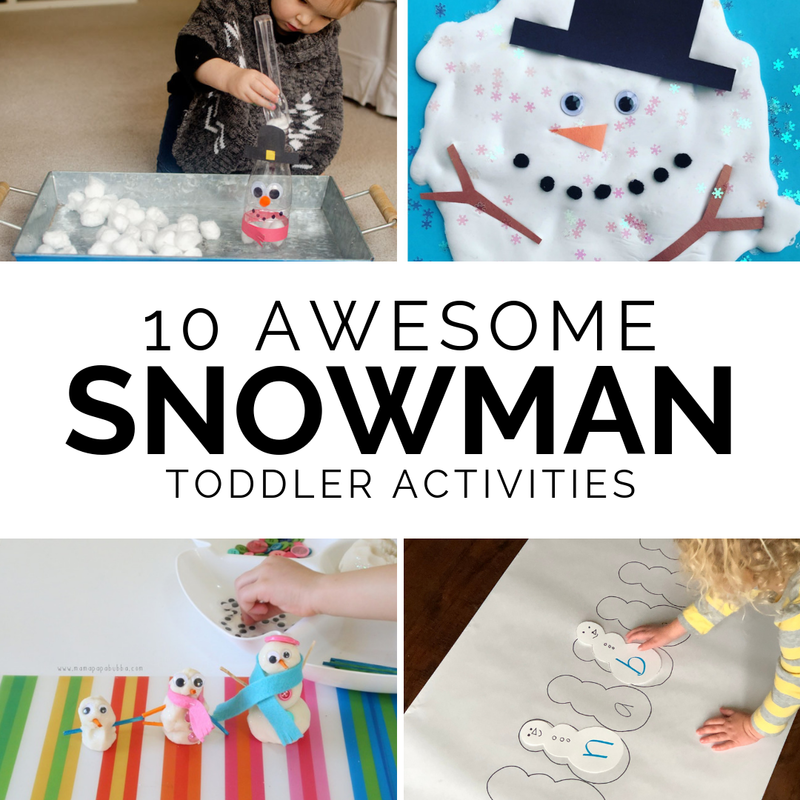 Check out these simple snowman themed activities from some of our favorite toddler experts! Snowmen At Night by Caralyn Buehner is one of our favorite books about snowmen... along with Frosty, of course! One of the best ways to help toddlers make connections with the books they read is by doing book extension activities (aka book themed activities). Toddlers love to move and create and we love to feel like we accomplished something useful during the day... so today we've got 10 simple snowman themed activities you can try after you read a snowman book. They will get you learning, moving, and creating! These activities will make your long day go quicker and help everyone have a lot more fun! They only require a few simple materials. These 10 awesome snowman themed activities are so much fun! Click on each activity below to find out specific details and materials needed. Once you've tried one of these activities out, come share them! 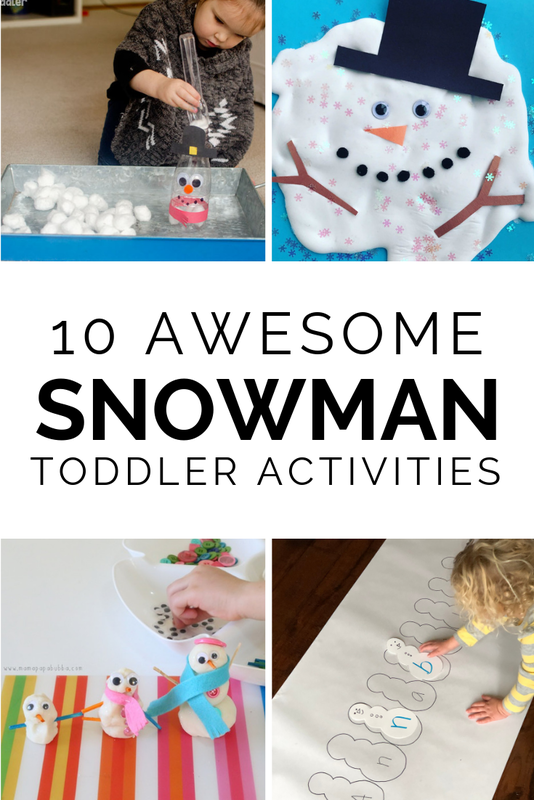 Over on Instagram stories, I've been sharing all of the snowman themed activities you've been trying! It is fun to see how different parents adapt the activities for their kids. I love learning from you!